CHICAGO (NEWS RELEASE) -- Eighteen Chicago-area charities will benefit from more than $2.5 million expected to be raised at the black-tie gala held in conjunction with the 2017 Chicago Auto Show in February. Now in its 26th year, First Look for Charity has become one of Chicago's most anticipated charitable events. The coming "First Look" event, on Feb. 10, gives benefactors the chance to see North America's largest auto show amid an atmosphere not present during the show's 10-day consumer run. About 10,000 attendees at the charity gala will be treated to hors d'oeuvres; champagne, wine, beer and soft drinks; and special entertainment presented by the automakers in their displays. Benefactors in attendance also have the chance to win a 2017 Lexus NX or a 2017 Acura TLX. First Look for Charity stands as one of the special events on the winter schedules of Chicago socialites and car buffs. 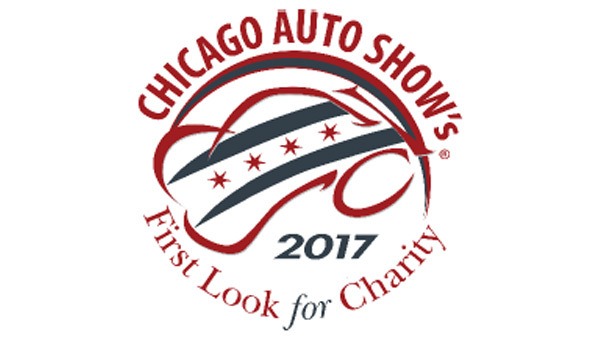 "The Chicago Auto Show is uniformly regarded as the finest auto show in the country, but the charitable cause demonstrates that this auto show is about more than just vehicles and accessories," said Mike McGrath Jr., show chairman. "It's also about giving something to the charities of our community." For more information on First Look for Charity or to buy tickets, visit www.firstlookforcharity.org. For more information on the 2017 Chicago Auto Show, please visit www.chicagoautoshow.com. The Chicago Auto Show is about a month away, but we're already getting a taste of the event's black tie sneak peek, called First Look for Charity.